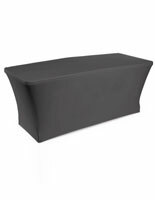 Complete your trade show exhibit with this portable table that can be used by staff members or attendees. 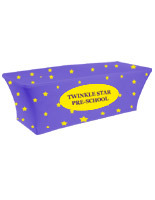 Featuring folding legs, this display can be folded together for easy transportation and storage purposes. 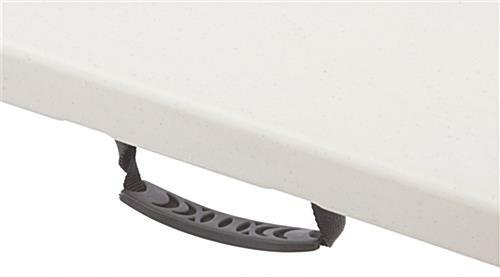 There is also an easy grip handle that is ergonomically designed to allow you to carry the table to and from events and shows. 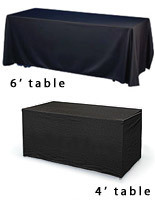 This portable table, also known as trade show counter or event table, can also be combined with a tablecloth or table skirt for a professional look. 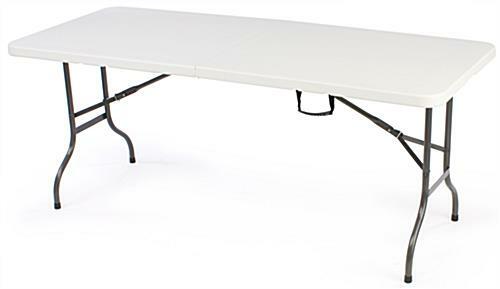 The surface is compatible with most of the table throws and covers we offer, which gives users the option to make the portable tables more presentable. 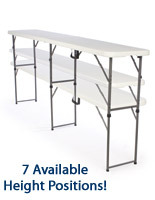 This event counter, portable table is easy to set up and great for implementation at any public event. With a top constructed from molded plastic with rounded edges, the display is water proof and stain resistant. 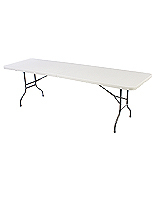 The reinforced steel legs add strength to the table as well. 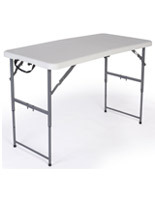 This portable display counter, folding table has a light gray finished top with grey, powder-coated legs to be used in almost any environment. The unit is definitely great for use in trade shows, exhibition halls, conventions, and other events.